Just what every 50 Shades of Grey fan needs. 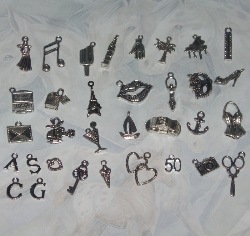 A kilt pin with all the best charms. You choose the 3 charms you want from the list including Handcuffs, the Mask and the Helicopter, Charlie Tango. 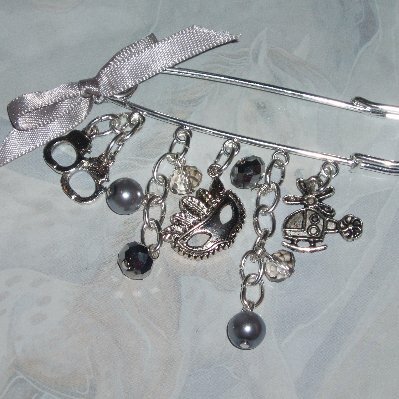 Accented with faceted crystal rondelles and grey pearls, topped off with a grey satin bow. This kilt pin has 5 dangles and is 75mm long. The perfect gift for any 50 Shades fan, or just treat yourself.